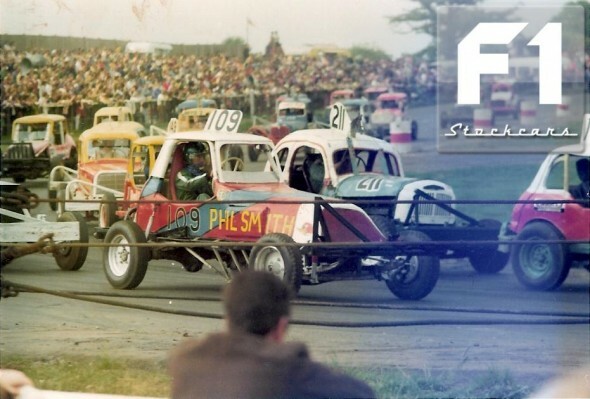 Flashback Friday: A weekly article brought to you from the vaults of top BriSCA photographer Colin Casserley and this week, help from Derek Hibbs and Rick Young. 1. 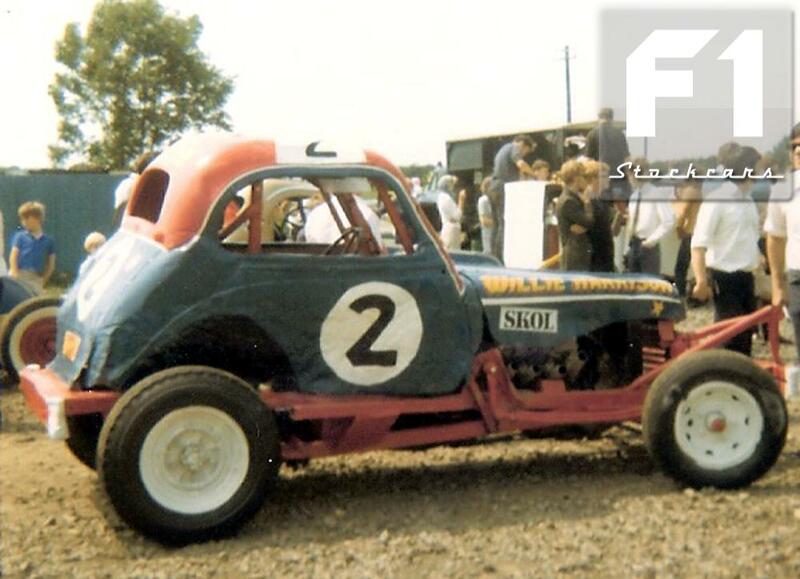 Moving to South Yorkshire and no Flashback Series would be complete without a mention Of Willie Harrison (2), The Harrison family have been associated with Stock car racing ever since the sport came to the UK back in 1954. This photo is from Northampton back in 1970 and sees the familiar Harrison paint scheme on the ex Aubrey Leighton (42) machine. 2. It’s a myth that tracks in the old days didn’t get muddy, this photo of Willie Harrison from the early 1970s in his Tony Neal (100) built car at Long Eaton is proof that wet shale was as bad back then. 3. 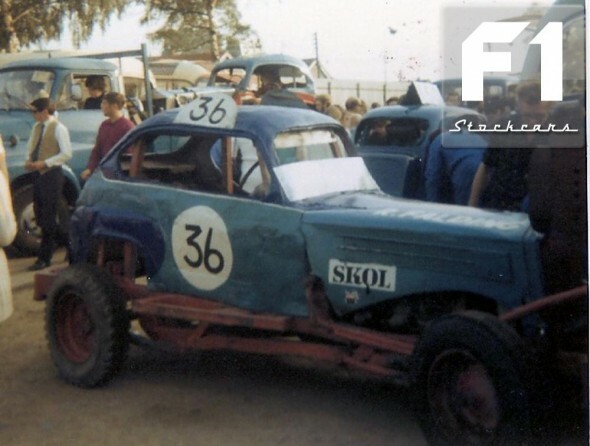 The Faldings have been around stock car racing almost as long as the Harrisons. This is Rod Falding (36) at Coventry in 1970. 4. 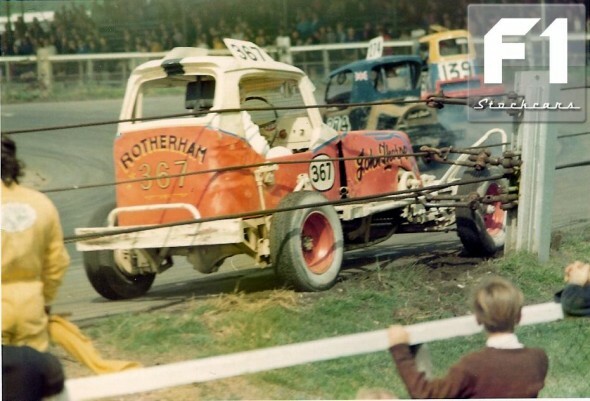 Marian Palmowski (383) was originally from Poland, but made Rotherham his home. He raced from 1959 up to 1983, this is one of his cars from the mid 1960s. 5. 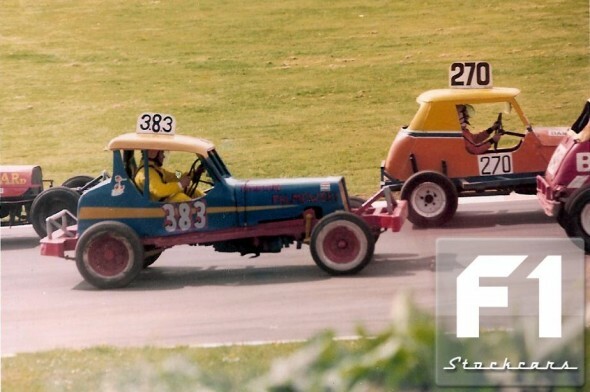 He is seen here at Brands Hatch’s Festival of Speed in the early 1970s. 6. 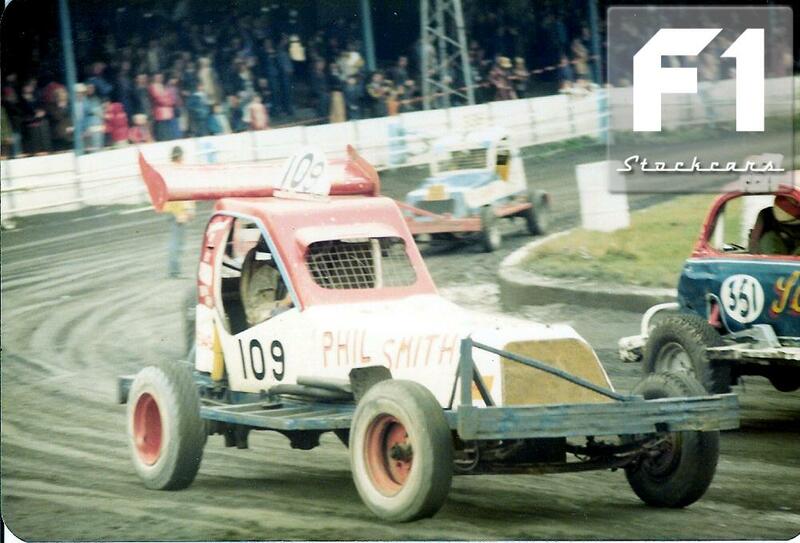 Phil Smith (109) didn’t stay white top for long, the Huddersfield driver is seen here at Northampton in 1974. 7. Phil attained red grade for much of his racing days and won the British Championship in 1994. 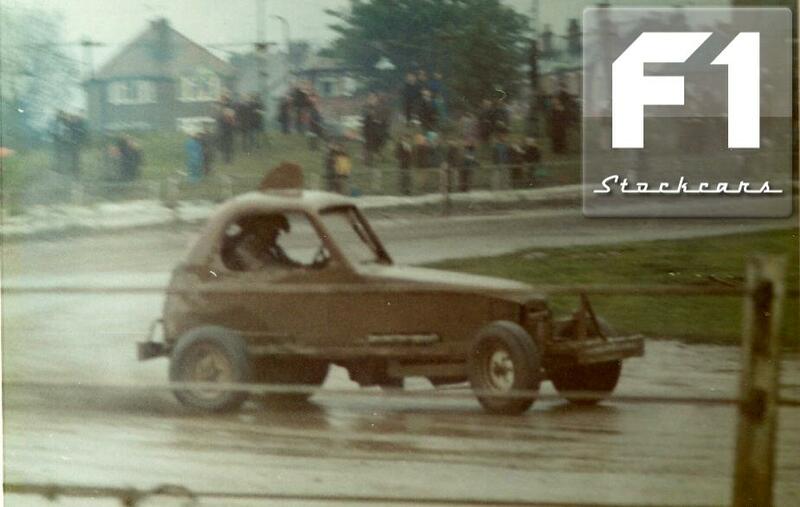 This photo is from Rochdale in the late 70s. 8. 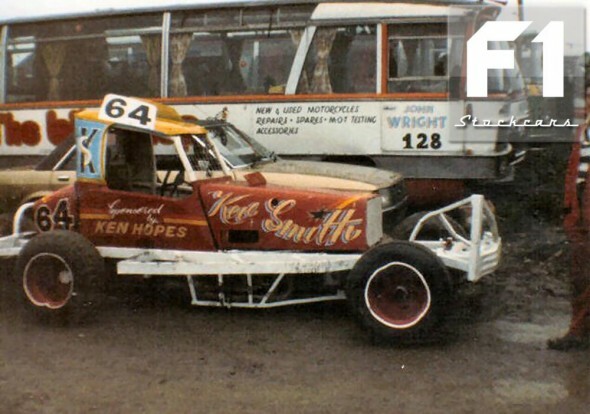 Ken Hopes (64) at Northampton behind the wheel of an ex Phil Smith car. 9. The number is the same, but the name is Different! 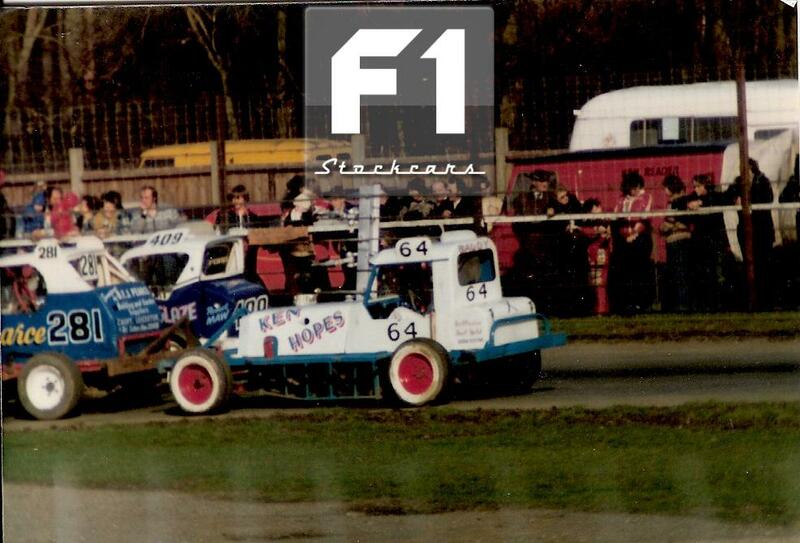 Kev Smith (64) became a fan favourite with his no nonsense style of driving. The former resident of Hudderrsfield now lives down under in New Zealand, much to the relief of several drivers! 10. Mike Close (199) began racing at the same time as his cousin Norman Close (200) in 1971 and did most of his early racing close to his home in the Yorkshire Dales. 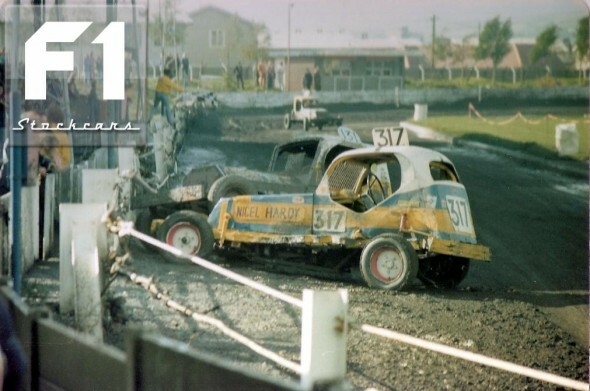 This photo is from Aycliffe in 1972, the following year and a new Chevy powered car Mike began to gain more success that would eventually bag him a World, European, British and National point title. 11. 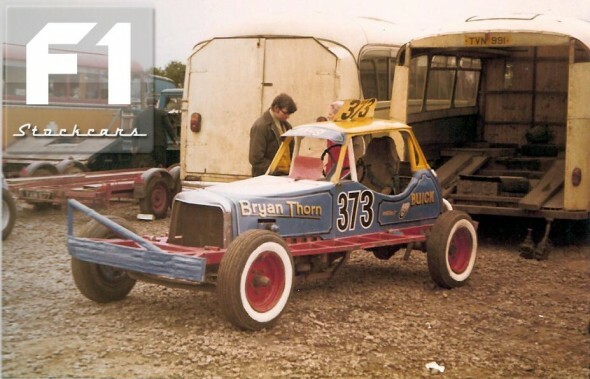 Bryan “Thug” Thorn (373) was a travelling companion of Gordon Smith (293). The Halifax duo were always worth the admission money wherever they went. 12. 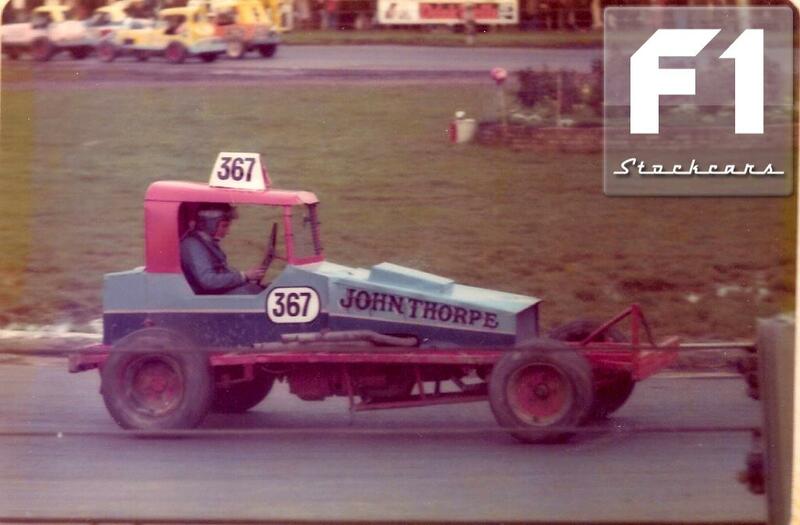 Another Rotherham driver who raced on and off for many years was John Thorpe (367). 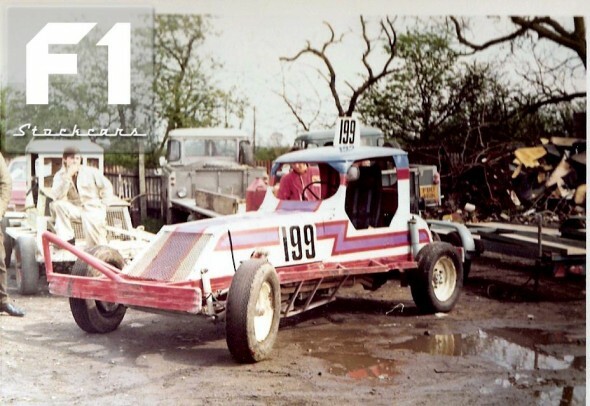 he rapidly rose through the grade and was novice of the year in 1974, although he found the Northampton wires on this occasion. 13. John back at Northampton as a red roof and in one of his many cars he raced throughout the years, which also saw him appear as #4 and #433. 14. Huddersfield’s Nigel Hardy (317) tangles with Malc Dobson (131) at Rochdale. 15. Hardy was a rugged driver who gave no quarter and was a dab hand at using the bumper. 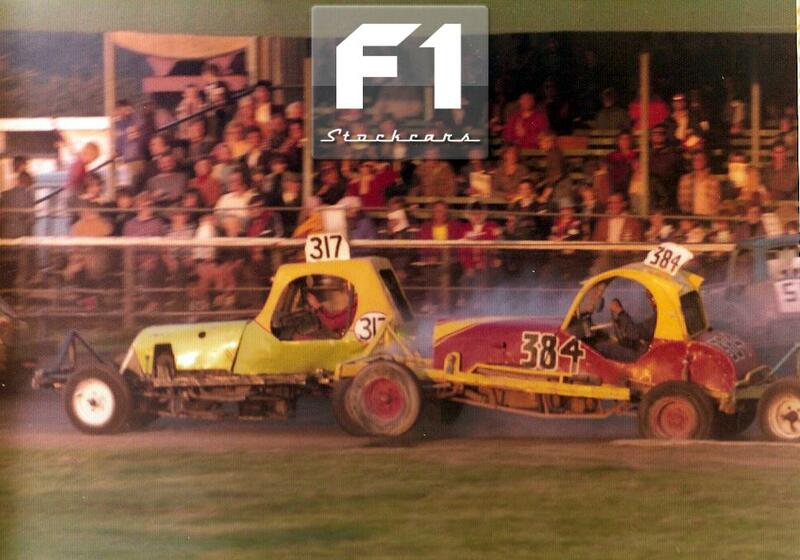 He is seen here battling with fellow Yorkshireman John Jebson (384) at Northampton. 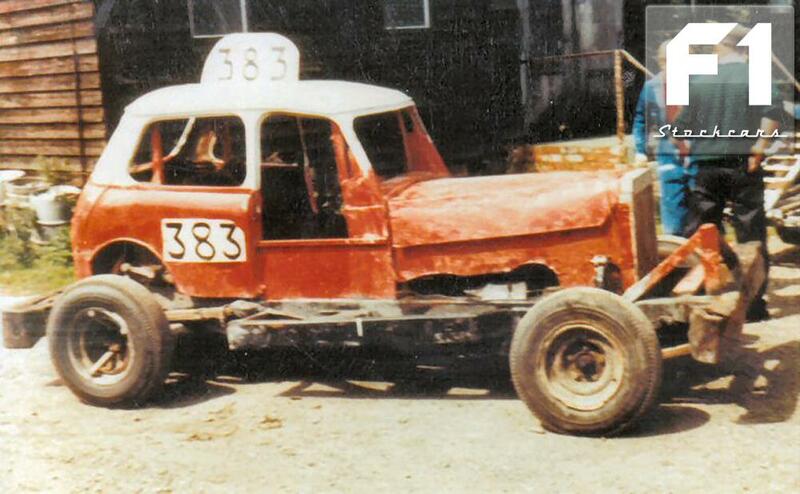 Jebson is driving an ex Roger Hollingshead car but is best remembered for his “Untouchable” creation that will be part of a thread in a few weeks time. 16. 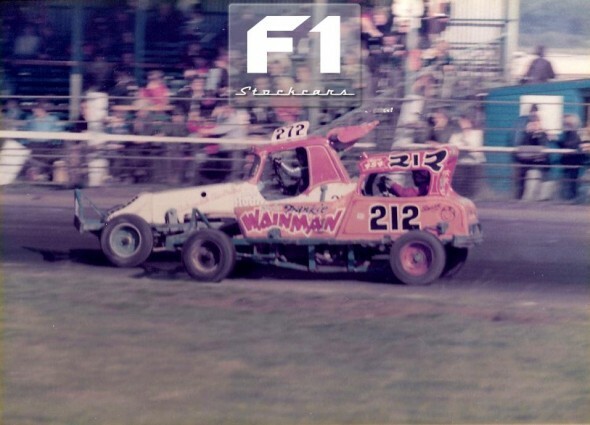 Two more Yorkshireman battling at Northampton in the mid 1970s. Dave Hodgson (272) and and Frankie Wainman Snr (212) travelled far and wide during there racing days. See Part 1 HERE, Part 2 HERE, Part 3 HERE, Part 4 HERE, Part 6 HERE, Part 7 HERE and Part 8 HERE.